Elisa replayed Saturday evening over, again and again, in her head. There was nothing, absolutely nothing, that she would have wanted to be different. It had been, without a doubt, the best time she had ever had in her entire young life. She and Andy had danced almost all the rest of the dances together, and certainly all of the slow ones. She had danced a few of the dances with Connor, and some of her other guy friends, and Andy had danced with some of Elisa’s friends. But they always ended up drifting back to stand beside each other, or sat together at one of the little tables along the sides of the room. Elisa’s mom was waiting in the car for the girls, when the dance ended around 9:00. They piled in, with everyone talking at once. Everyone except Elisa. Sometimes, if something really big had happened, good or bad, Elisa would get very quiet. It was as if she had to take her time turning things over in her mind, before she was ready to talk about them with other people. When Elisa’s mom realized that Elisa was not talking and laughing like the other girls, she knew that this had been a very important evening. After everyone had been picked up at Elisa’s house, Elisa got ready for bed. Her mom came in to say goodnight, and wisely decided that any conversation about the dance could wait until Sunday morning. 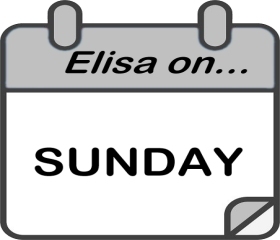 Now, as she ran down the hall to the kitchen, Elisa was ready to talk. She was grateful that her mom understood her so well, and was always patient, letting Elisa decide for herself when she was ready to share events in her life. Mom’s patience was rewarded. Elisa talked, while Mom made coffee-milk for her, and put a plate of French toast in front of her. Elisa talked, in between bites, while she ate. She continued to talk, while they cleared the table and washed dishes together. Mom did not need to ask any questions about the evening. She just smiled and listened as Elisa took her, minute by minute, through the magical time at the dance. Elisa’s mom agreed that Andy seemed like a very nice young man. She agreed that it was very polite of him to walk Elisa and the others out to the car after the dance. She agreed that he was cute. She did not know that Andy had given Elisa a quick, shy, peck on the cheek after the other girls got in the car, and Elisa decided that maybe she would not tell her about that quite yet. Elisa’s obvious joy made her mother remember what it had been like, when she was a young girl, and had met Elisa’s father. Although the marriage of Elisa’s parents had ended in divorce, Elisa remembered that they had some very good times together as a family. As the day wore on, the cold weather seemed to be returning. The blue sky of yesterday turned dark gray with clouds. By late afternoon, a light snow had started to fall. Winter had once again returned, although hopefully it would not stay around too long. Elisa decided that she wanted to do some reading, but as she walked to get her book, which she had left in the living room, Mom asked if she would take a little time going over PQs again. 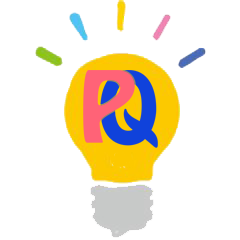 Elisa turned on the computer and opened the PQs site. She was surprised to see her mother come to the computer desk with several books. One was a mystery novel by a popular writer, one was a book about the history of the United States, and one was about applying to colleges. Elisa raised her eyebrows at the last one, and looked at her mother. Mom turned red. She told Elisa that although she had graduated from high school, she had never thought she was smart enough to go to college, since she was not a good reader. However, there was a community college just a few miles away, and Elisa’s mom had learned that they were interested in students like her, who had families, and who could take courses only at night. There was also a good chance that the college would pay for the classes her mom wanted to take. If she finished up two years at the community college and did well in her courses, she would be able to go to the regular college and get a degree so that she could be a teacher. She could help other adults who had trouble with reading, especially other Spanish-speaking adults who had trouble speaking or reading English. Elisa was very surprised to hear her mom talk about going to college. She was even more surprised to learn that she wanted to become a teacher. But mostly, Elisa was very proud that her mother was ready to try to do something that would change her life. Not that their lives were bad. In fact, things were quite nice. But now she saw her mom as a person with goals, who wanted more in her life. They spent the next couple of hours reading stories with PQs. Elisa was amazed at how quickly her mom understood how it all worked. Before, Elisa had been a little worried about whether or not her mom was really interested. Now that Mom had a goal in mind, Elisa could see that there would be no stopping her, until she had succeeded in what she had set out to do, which, in this case, was to get accepted into the community college. Elisa knew that she would do anything and everything that she could do to help her mom achieve that goal, just like her Mom had always helped and supported her. Elisa got ready for bed, and then packed up her backpack so she would be ready for school in the morning. What a weekend, she thought. Starting with Friday (although not technically part of the weekend), and being chosen to read to the kindergartners, and then the dance (and Andy) on Saturday, and finally today, learning that her mom wanted to go to college. There would be so much to share when she got to school tomorrow. She could hardly wait to see Andy on Monday. c) that she did not want to work on PQs anymore. c) teach other Spanish- speaking adults who had trouble reading or speaking English.